Killing road buzz! 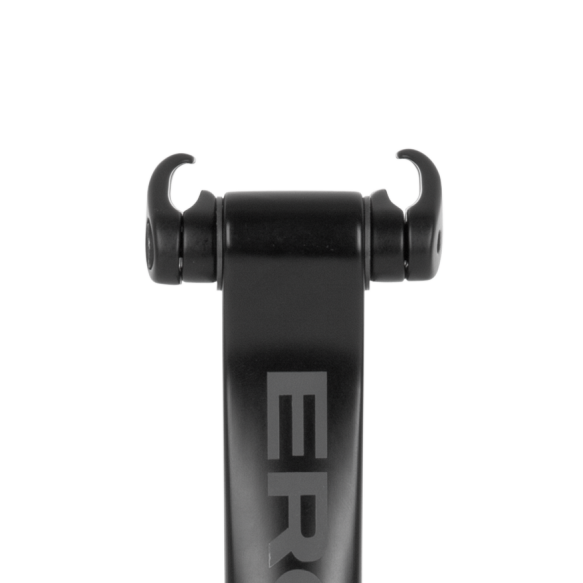 The CF3 Pro Carbon seat post with 25mm of setback presents a comfort innovation by using a two parallel leaf springs and bushing equipped pivots to soak up road vibrations. The saddle moves backwards in a arc motion, with the help of the carbon suspension beams (VCLS Technology). The highly sensitive carbon beams retain that ‘direct road bike’ feel. Two setbacks options and saddle angle adjustment are easily made during installation. When you hit a bump in the road the result is the bike being propeled upward. 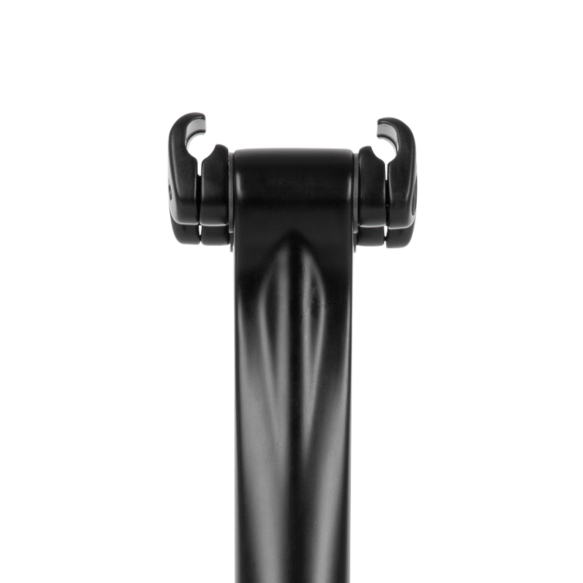 To combat this undesired reults, the seatpost flexes in the opposite direction (refer to image) allowing the bump to neutralize. This is more efficient than a traditional suspension seat post. The floating pivot Flip Head prevents the saddle angle from changing as the post compresses. 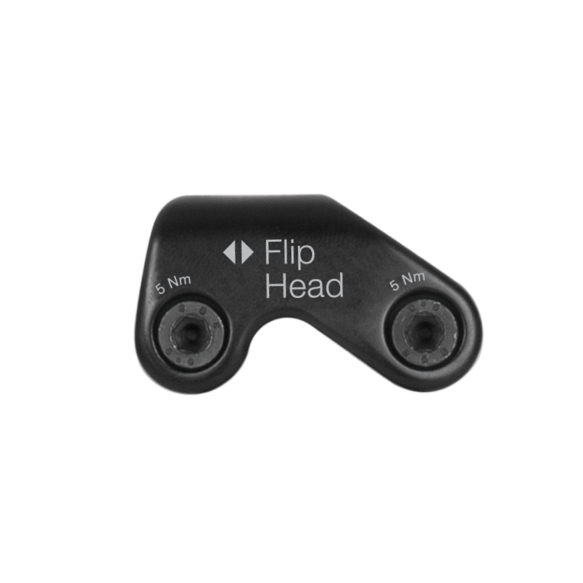 The Flip Head can be rotated for increased adjustment allowing for more or less setback. 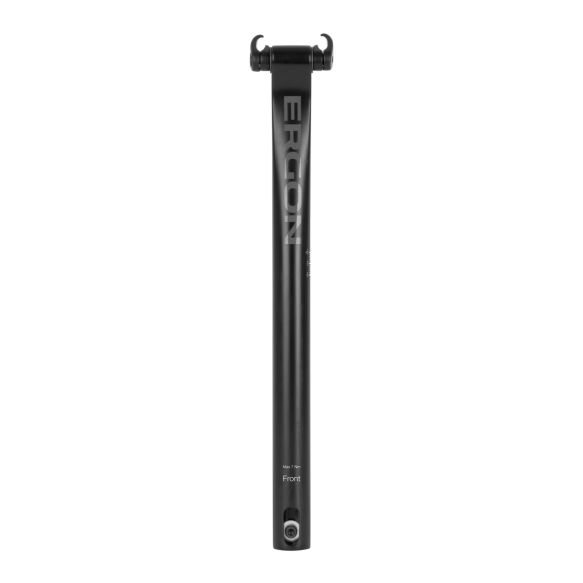 VCLS Carbon Fiber Composite is used in the springs for a defined flex. The FlipHead Kit assures compatibility with carbon rails from different saddle manufacturers to the CF3 Pro Carbon seat post. Setback can be increased or decreased simply by rotating the FlipHead. 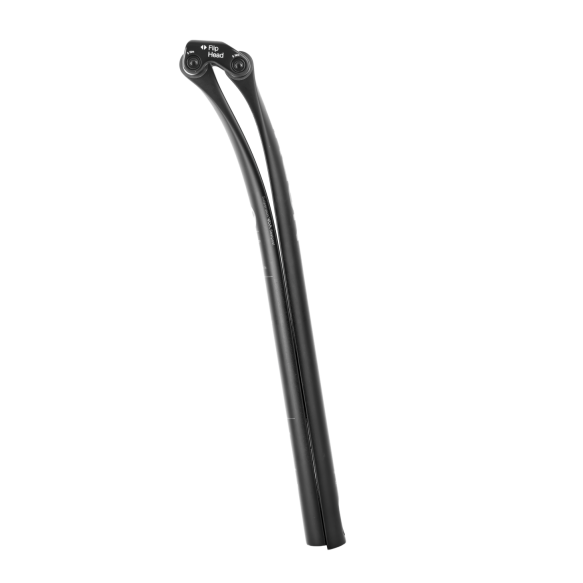 Compatible with 7x9mm carbon saddle rails found on saddles by Ergon, Selle Italia, Fizik, Specialized, etc. The perfect operating principle. The impact direction of the force application and the compression direction act physically together in the optimum way. The highly sensitive, yet firm response, ensures a true road bike feel.